US equity indexes closed moderately mixed, sp +3pts @ 2170 (intra low 2159). The two leaders - Trans/R2K, settled +0.1% and -0.1% respectively. 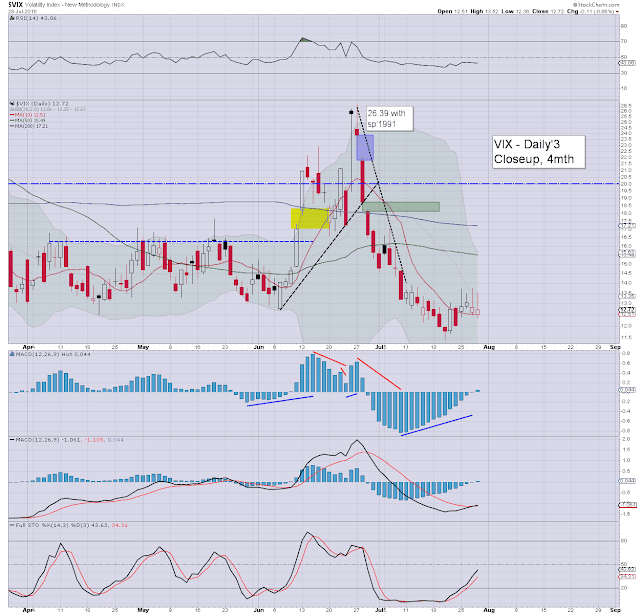 VIX settled -0.9% @ 12.72. Near term outlook offers a renewed push higher into the 2180/90s. Today was day'11 of a trading range that spans just 20pts (2175/55).. a mere 0.9%. VIX is reflecting a market that is arguably 'consolidating in time', after a post BREXIT hyper ramp from sp'1991 to 2175. With just one trading day left of July, it is now a certainty that the sp'500 will be settling near/at new historic highs. Whether >2175 is exceeded tomorrow or in August... it really makes no difference. Further, it should be clear that broader upside into mid/late September seems highly probable. The next threat will be a rate hike at the FOMC of Sept'21st, but considering other central banks are set to cut rates/increase QE... Fed tightening remains extremely unlikely. 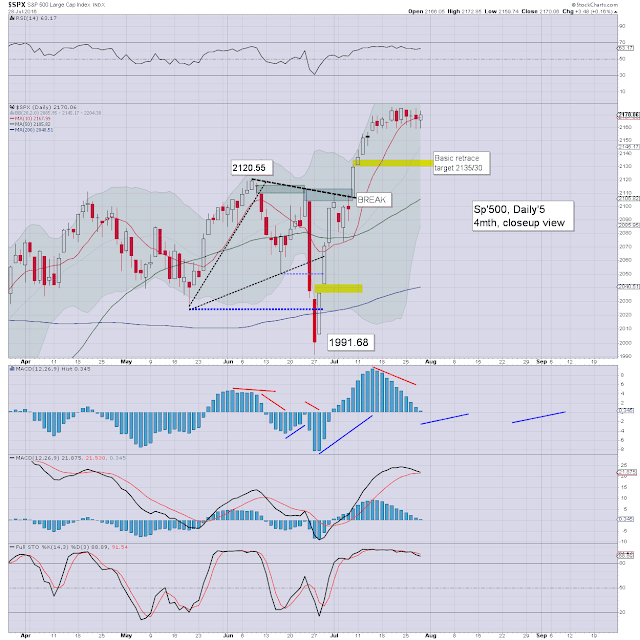 I can't be bearish unless a monthly close under the monthly 10MA.. and that is currently in the sp'2050s.